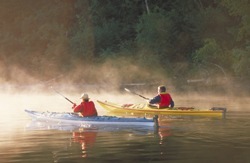 Every year we design a number of custom sea kayak trips for groups looking for a specific Lake Superior experience. Let us know what you’re looking for in a sea kayak trip – the number in your group, the dates, your destination of choice, your paddling experience and the services you require – and we’ll be more than happy to provide you with several customized options. Call us toll free at 1-800-203-9092 or send us an email.